Water experts will tackle the economic and environmental impacts of groundwater infiltration on urban infrastructure in the UK, which is estimated to cost tens of millions of pounds annually, at a new Centre for Research and Innovation. For the first two years the centre, launched by experts at consultancy firm Atkins along with the University of Birmingham, Imperial College London, and the British Geological Survey, will be focused on sewerage infrastructure where water seeping through cracked pipes is estimated to account for 40 per cent of flow in the network. This reduces sewer capacity, damages infrastructure, poses a serious challenge for operations, and deteriorates the quality of the receiving waters and ecosystem services. It is believed the issue costs the water industry millions of pounds every year. In 2013/14, three water companies in the UK spent an additional £80 million in responding to the impacts of infiltration. The centre will undertake research with academia, researchers and industry to bring innovative and practicable outcomes, so that significant financial and environmental benefits can be brought to this longstanding industry problem. The long-term aim of the centre is to develop preventative techniques that will reduce ongoing asset management costs as well as improve environmental standards and customer service for the industry. 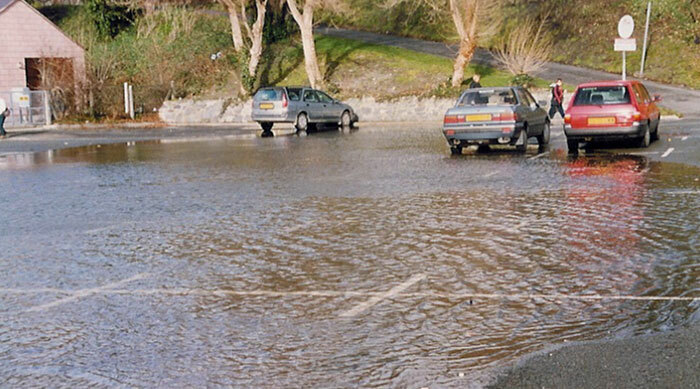 At times of increased wet weather and flooding across the UK, like over the 2013/14 winter, these techniques will also directly reduce the risk of flooding experienced in towns and cities including schools, homes, and local businesses. Adam Cambridge, technical authority for urban stormwater management at Atkins, said: “For decades infiltration has been a long standing infrastructure challenge for our industry. Local communities are often the ones most affected by the problem. This is the first time we’ve taken a co-ordinated approach to tackle the impacts of infiltration facing our infrastructure head on. A version of this story first appeared on wwtonline.